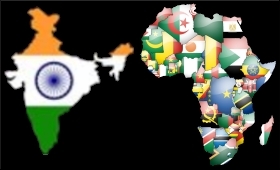 India’s approach to Africa is continental and determined by the objective of helping the region realise its true potential, said T S Tirumurthi, Secretary (External Relations), Ministry of External Affairs. Even as the two regions deepen the bilateral economic and business partnerships, cooperation in the areas of defence, security, cyber security have assumed critical importance, he added. Stating this in his address in the valedictory session of the 14th CII EXIM Bank Conclave on India Africa Partnership held in New Delhi on March 19, Tirumurthi said that India is committed to building capacity and creating opportunities in Africa. The 3-day Conclave was organised by the Confederation of Indian Industry in cooperation with the Export Import Bank of India, Ministry of Commerce & Industry, and Ministry of External Affairs, Government of India. Referring to the pioneering tele-course on Big Data analytics being offered by India to people of Ghana and Tanzania, Mr T S Tirumurthi said the course will be delivered to many more African countries in the near future. Anup Wadhawan, Secretary, Ministry of Commerce & Industry, in his address said the 14th CII EXIM Bank Conclave on India Africa Partnership surpassed all expectations, with over 500 projects being discussed between Indian and African entities. Wadhawan reiterated that India could extend its expertise to build strong logistics linkages in Africa. He expressed hope that a large number of African countries will join the International Solar Alliance. Monyane Moleleki, Deputy Prime Minister of Kingdom of Lesotho said in his address that the India Africa bilateral partnership is defined by the spirit of “developing together as equals”. He underlined Africa’s core strengths - abundant natural resources and a large population – that will draw investors to the region. He noted that the lines of credit extended by Government of India to Africa have been instrumental in deepening the bilateral partnerships. He said that his country looks forward to the state visit of India’s Vice President to Lesotho within the next two months.